This fact sheet, Funding Land Conservation Projects with the Clean Water State Revolving Fund, describes opportunities to fund land conservation with the Clean Water State Revolving Fund (CWSRF). The CWSRF can provide assistance for projects that result in the protection or restoration of surface water, which can include the purchase of land, leasing, fee-simple purchase, and easement. 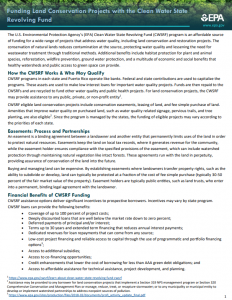 This fact sheet demonstrates how the CWSRF provides assistance to eligible recipients for projects promoting land conservation and restoration and highlights successful projects in California, Georgia, and Ohio. 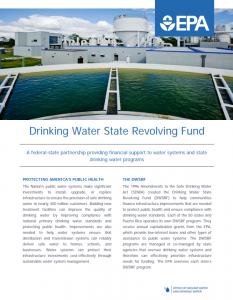 This fact sheet, Drinking Water State Revolving Fund, describes the DWSRF program’s structure, including its water system and project eligibilities. It lists the multiple financial assistance mechanisms available to communities for their infrastructure and non-infrastructure water needs. 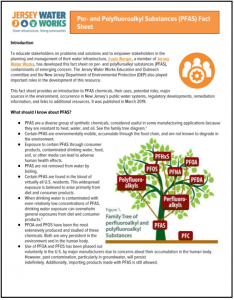 This fact sheet was prepared by the Jersey Water Works Best Practices Committee. 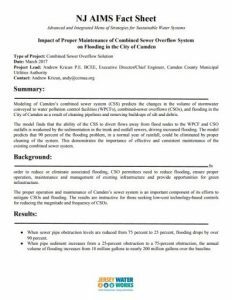 It summarizes a case study performed by CDM Smith, an engineering firm, and commissioned by the Camden County Municipal Utilities Authority. The Impact of Proper Maintenance of Combined Sewer Overflow System on Flooding in the City of Camden was predicted by modeling Camden’s combined sewer system (CSS) and measuring the changes in the volume of stormwater conveyed to water pollution control facilities (WPCFs), combined-sewer overflows (CSOs), and flooding in the City​ ​of​ ​Camden​ ​as​ ​a​ ​result​ ​of​ ​cleaning​ ​pipelines​ ​and​ ​removing​ ​build-ups​ ​of​ ​silt​ ​and​ ​debris. This resource from Ohio University highlights pollution prevention efforts and technologies engineers are focusing on to improve the safety of drinking water. 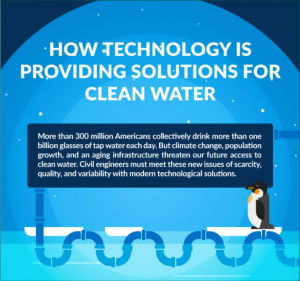 It contains infographics for innovative technologies including desalinization, irrigation, and wastewater treatment. It is intended to create awareness around the need for these improving technologies to create safer and more sustainable water infrastructures for generations to come. 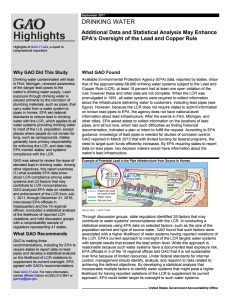 GAO makes three recommendations, as part of its report, Additional Data and Statistical Analysis May Enhance EPA’s Oversight of the Lead and Copper Rule, including for EPA to require states to report data on lead pipes and develop a statistical analysis on the likelihood of LCR violations to supplement its current oversight. EPA agreed with GAO’s recommendations. 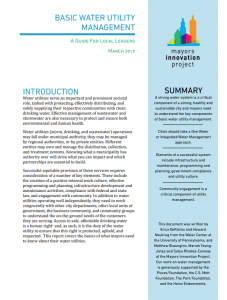 This report from the U.S. Water Alliance makes a case for the One Water approach and highlights successful strategies and real-world examples in practice. 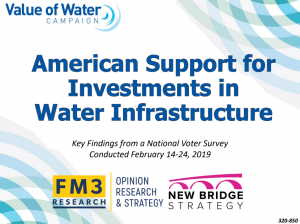 American Rivers has tools available to help public utility managers communicate about stormwater management and assist them in fostering public support for collecting fees to upgrade and/or maintain water infrastructure.